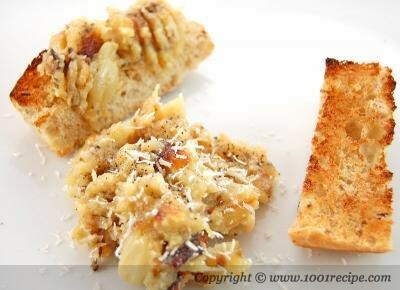 Navid: I know that some people don't like the taste of raw garlic but who can resist the sweet taste of roasted garlic. 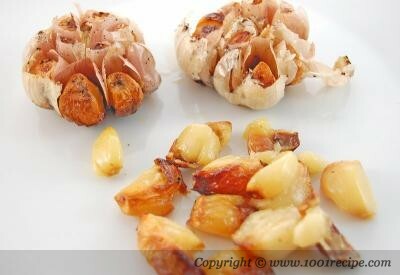 Roasted garlic with a drizzle of olive oil and a touch of salt and pepper are quite tasty and extremely healthy. Combining them with lemon juice and Parmesan cheese would make a heavenly dip. Without the roasting time, the preparation time wouldn't take more than 5 min. After roasting for 45 min, you can squeeze out the sweet garlic easily. Just add some herbs, seasoning, lemon juice and Parmesan cheese. 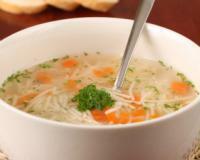 Enjoy with toasted breads. 2. 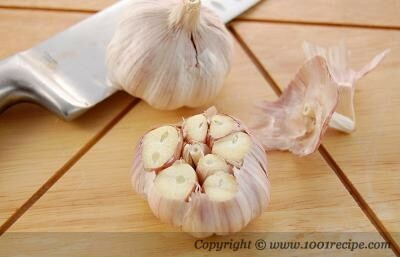 Slice off the top of the garlic bulbs to expose most of the cloves. 3. 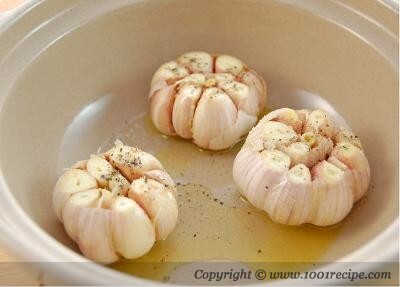 Transfer garlic bulbs into an oven proof pan and drizzle olive oil over them. 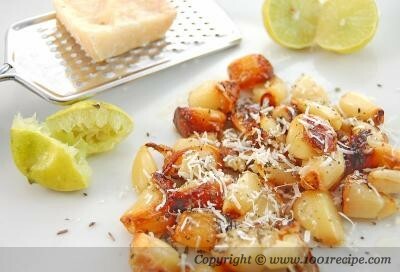 Sprinkle salt and pepper over them and roast in the oven for 45 min or until golden. 4. 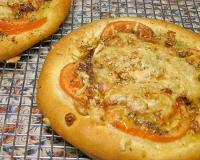 After removing from the oven, squeeze out the softened garlic. 5. Add lemon juice, basil and Parmesan cheese and mash together. 6. Taste and season with salt and pepper. Wow, super garlic hit - sounds great - thanks for sharing!